While a lot of speculation in regards to Z390 motherboards has been made recently, ASRock has jumped the gun (on purpose?) and unveiled its upcoming gaming-focused Z390 product stack officially. The newest addition to ASRock's motherboard SKU list is the introduction of the new Phantom Gaming series which uses the brand new Realtek RTL8125AG 2.5G NIC which we initially speculated on yesterday. Inclusive of the new Realtek RTL8125AG gaming-focused LAN on ASRock's Phantom Gaming range is a new software package which allows users to intelligently shape traffic while gaming to as ASRock eloquently puts it "accelerate critical gaming network traffic ahead of other data to provide smoother, stutter-free game performance and give gamers the ultimate competitive edge". 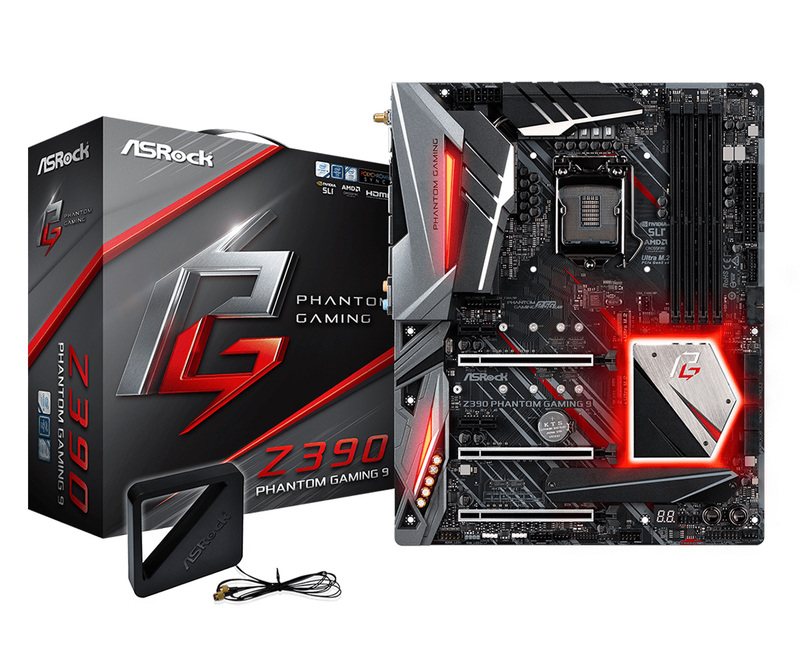 ASRock's new offerings, currently listed as supporting Intel's 8th Generation CPUs, include the flagship Z390 Phantom Gaming 9 with 2.5G LAN with a pairing of dual Intel-based NICs to offer a total of three LAN ports on the rear panel. Along with this is 2T2R Wave 2 802.11ac Wi-Fi with support for up to 1.73 Gbps of bandwidth. Also included in the new line up is the Z390 Phantom Gaming 6 which features a cut down feature set to the Phantom Gaming 9, but still retaining a lot of the gaming-focused features, such as 2.5G+2x1G. The Z390 Phantom Gaming 4, Z390 Phantom Gaming SLI and Z390 Phantom Gaming SLI AC look to cater towards users looking towards the mid-range of the Z390 motherboards at launch. 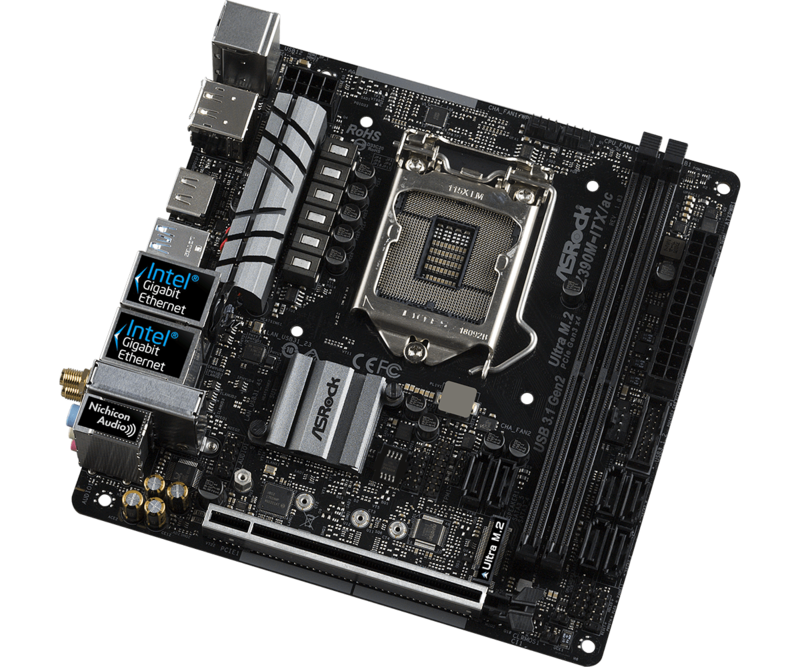 This also includes the ASRock Z390 Phantom Gaming-ITX/ac mini-ITX motherboard with 2T2R 802.11ac Wi-Fi, Realtek ALC1220 HD audio codec dual PCIe 3.0 x4 M.2 slots and an integrated Thunderbolt 3 port onto the rear panel. 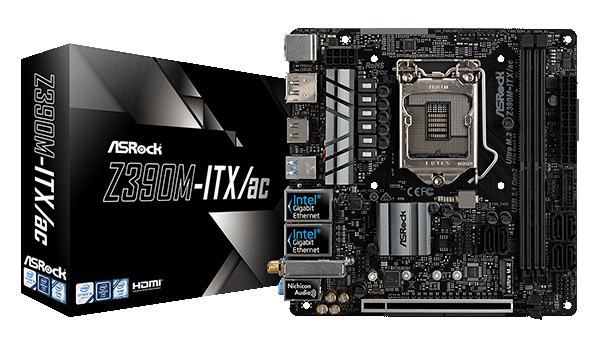 Other non-gaming options available include the ASRock Z390 Extreme4, ASRock Z390 Pro4, the mATX sized ASRock Z390M Pro and mini-ITX ASRock Z390M-ITX/ac. These offerings are aimed at users looking for an entry-level option without spending extra budget on lots of RGB, gaming-based controllers and over exuberant aesthetics. ASRock has also re-launched a new pair of Taichi inspired high-end boards onto the Z390 chipset with the ASRock Z390 Taichi (will be reviewed in the coming weeks) and the ASRock Z390 Taichi Ultimate. An Aquantia 10G LAN is featured on the Ultimate model, while both the ASRock Z390 Taichi and Z390 Taichi Ultimate will both benefit from a Realtek ALC1220 HD audio codec, three USB 3.1 Gen2 Type-A and one USB 3.1 Gen2 Type-C on the rear panel, with both models offering WI-Fi and Bluetooth 5 connectivity. We are planning one of our full Z390 motherboard overviews soon, which will include all Z390 motherboards we can find out about, including all of the above ASRock Z390 motherboards. It's not the multiple nics that make it gaming oriented, it's the inclusion of the Realtek RTL8125AG nic with traffic shaping hw/sw that makes it gaming oriented.